The British Toy & Hobby Association was established in 1944 to represent British toy manufacturers and to raise standards of practice in the toy industry. The BTHA and its members believe in promoting the value of play for all children which is why we launched the Make Time 2 Play campaign. Research shows that play helps children to develop the skills they will need for later life. Play allows a child to learn about the world around them, test boundaries and develop the physical and mental skills they will need throughout their lives. Toys have been shown to keep children interested in playing at a particular task for a longer period which can lengthen the time children spend acquiring specific skills. The BTHA website has additional toy and play information, click here to visit the BTHA for more information. The Lion Mark indicates that a toy had been made by a member of the British Toy & Hobby Association and shows the member’s commitment to adhere to the BTHA Code of Practice which includes rules covering ethical and safe manufacture of toys, a ban on any counterfeit goods, an assurance to market responsibly, a commitment to improving sustainability and a desire to promote the value of all play. It means that consumers can be assured that a toy has been made by a member who believes in making good quality toys. For a full list of members visit the BTHA website. The National Toy Council (NTC) is a forum which was set up by the BTHA to bring together organisations and individuals connected with children or concerned with their welfare including academics, professional bodies and charities. 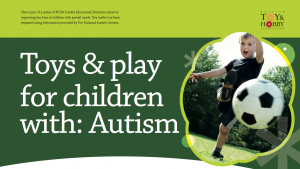 The Council has developed leaflets based on toy and play related topics. To access the leaflets visit.. The BTHA has worked with special needs organisations to develop leaflets for children with particular needs. The series will be added to over time and in the meantime you can access them here..
Children have such fantastic imaginations that all they need to play is time and space. Join us in Making Time 2 Play.